Join us as we head for a 4 day workshop in Barsana/ Nandgaon/ Vrindavan. The Holi Master Class will be limited to an intimate class of max 8-10 passionate individuals who want to polish their skills and break out of their comfort zones. We’ll talk about street, documentary and travel photography. This workshop is designed to help improve your photography, enhance your style and find your vision by providing expert advice and knowledge specifically aimed at helping you achieve success in your work. 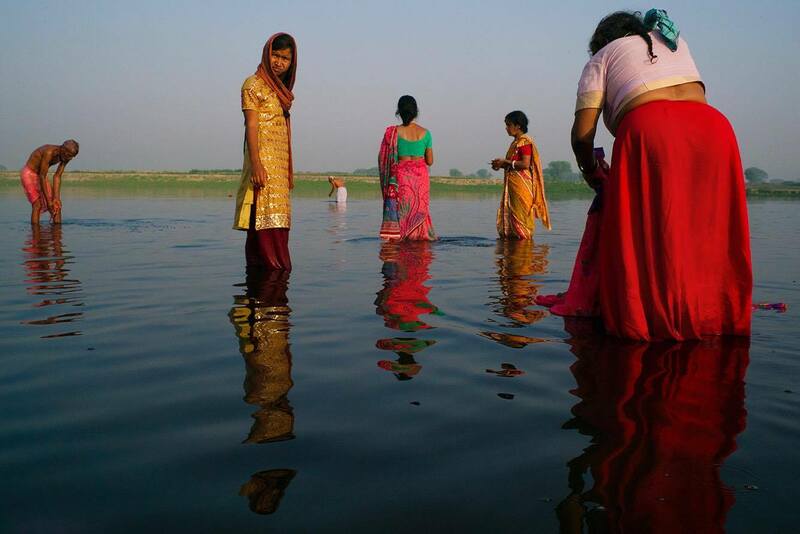 Participants will work on forming a photo essay in the 4 days. Participants will stay in Vrindavan. 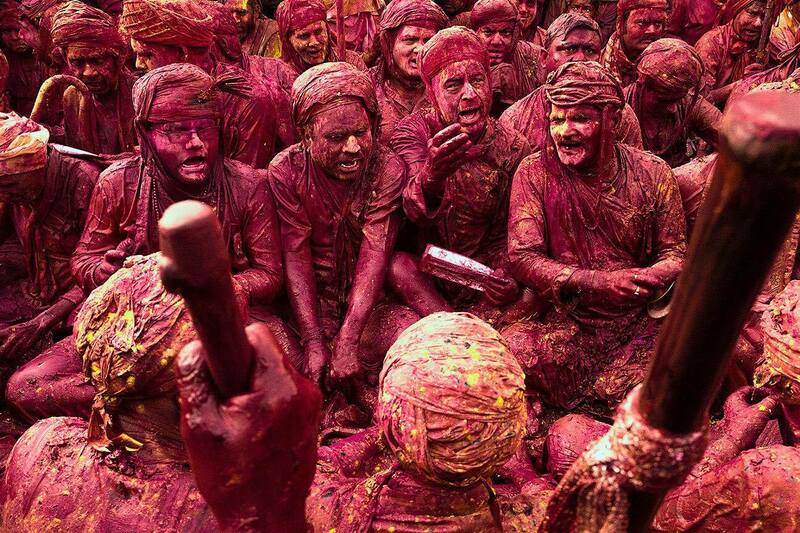 We will head for Barsana, full day excursion to photograph the Lath Mar Holi in Barsana Village. 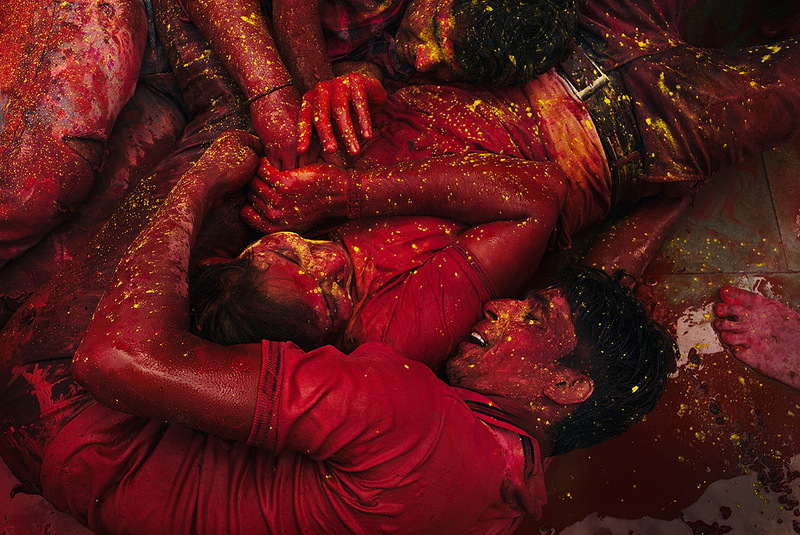 This colorful celebration is the fight between friends of Krishna and Radha. Men from Nandgaon village dress in their traditional clothes and adorn the role of Gopas (friends of Lord Krishna), while women from Barsana adorn the role of Gopis (friends of Radha). The men throw colors on women and the women fight back with batons. The aim of the men is to install a flag on the temple of Radha at Barsana and claim victory. 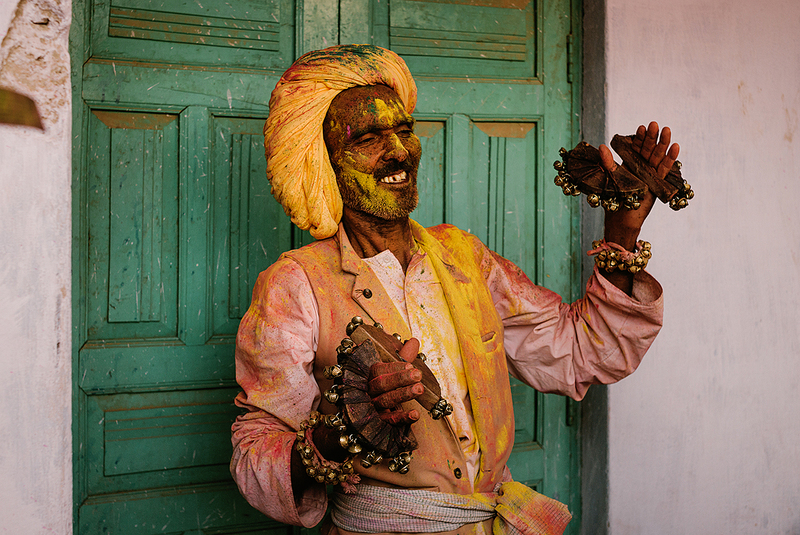 Both Men and Women prepare for Lath Mar holi much in advance and each year they employ new methods to outsmart each other. 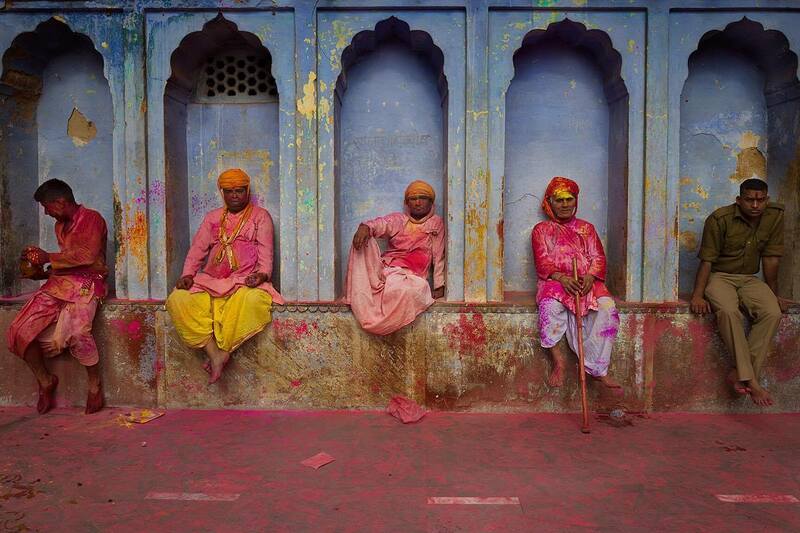 We spend the day in Barsana, shooting the streets, head back in the evening for Vrindavan. An interactive session with review of images in the evening follows. 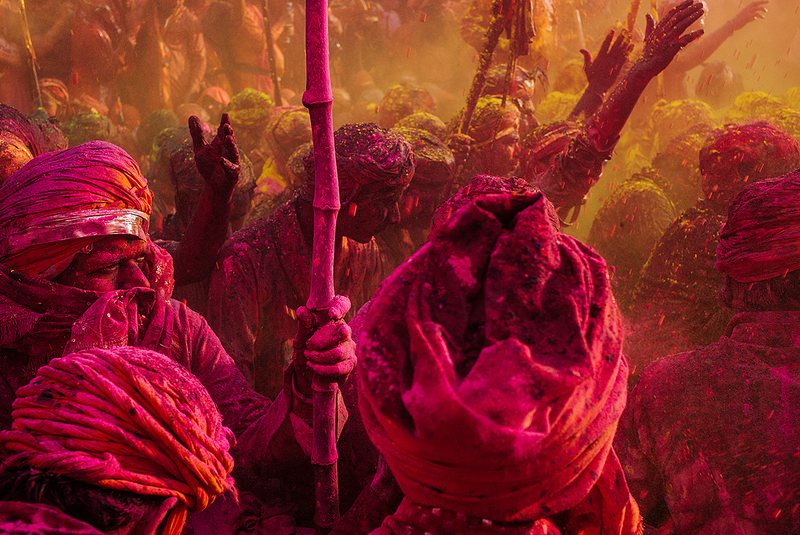 The next day we leave for Nandgaon, spend the day shooting the lanes of Nandgaon, this is a full day excursion to photograph Lath Mar Holi in Nandgaon. 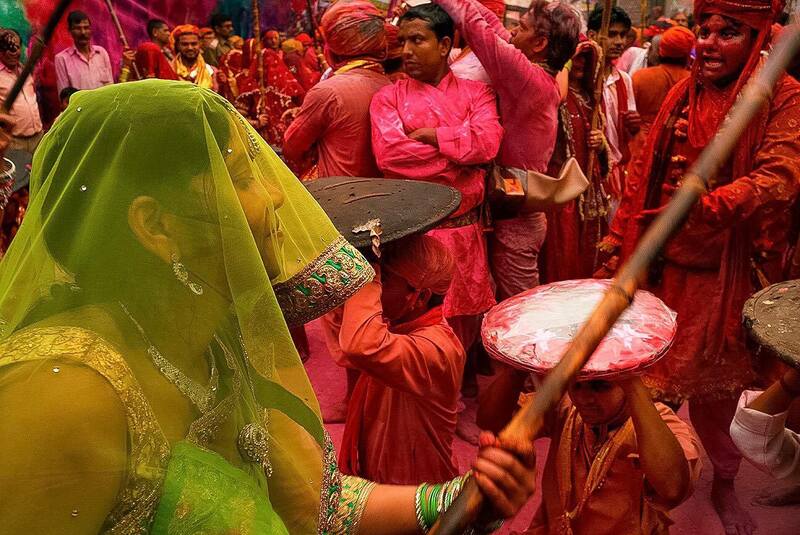 Holi in Nandgaon is the return visit for the Gopas of Barsana to play Holi with Gopis of Nandgaon. This time it’s the men from Barsana who carry a flag from their village to the Shriji Temple in Nandgaon and the women from Nandgaon try to stop them. The occasion is marked by singing folk songs and is an experience to be treasured. We head back to Vrindavan in the evening for a an extensive selection process from the images shot during the day. Mentors spend time with each participant one on one and cater to their specific needs and provide direction. Last day, Morning half day shooting around the Bankey Bihari Temple in Vrindavan. The term Bankey suggests “bent at three places” and Bihari refers to “the supreme enjoyer” Thus, Bankey bihari is the benefactor of bliss and pleasure. 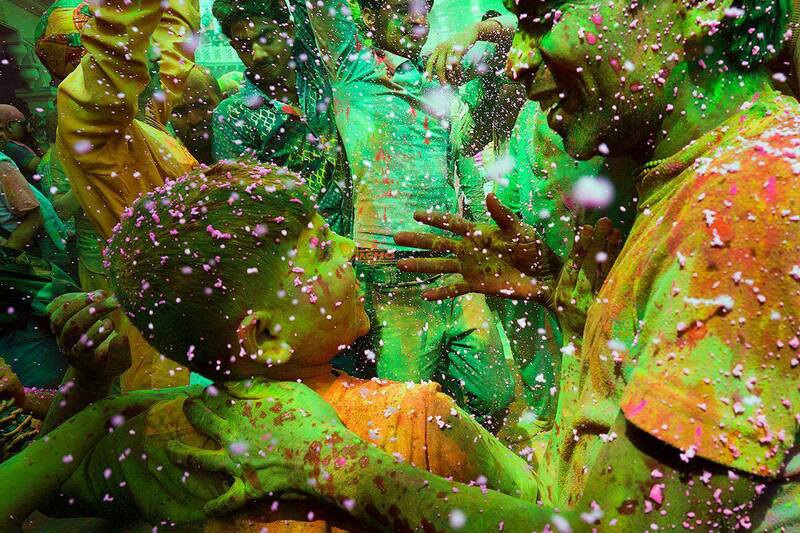 On Holi, Bankey Bihari is supposed to play holi and the whole town of Vrindavan gets submerged in colors. We head back for a final presentation and review session with the mentors and each participant presents their work. Workshop Charges including local travel (includes airport transfer), stay for 3 nights (checkin on 22nd and check out on 25th) on room sharing, all 3 meals. The participants are responsible for travel costs to delhi, (visa, air tickets, train etc to delhi).